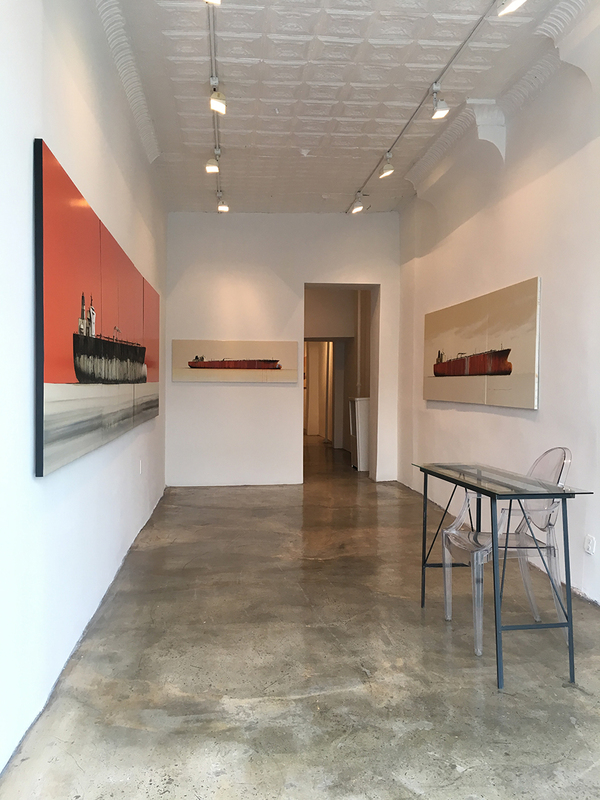 Massey Klein is pleased to present Tankers, a solo exhibition of oil paintings by Stephane Joannes. 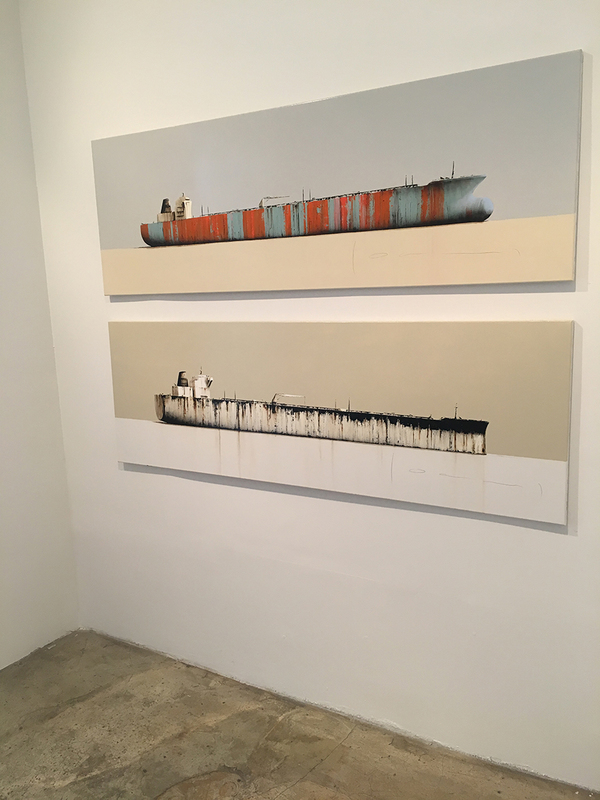 Joannes’ collection, Tankers, features large horizontal paintings of cargo ships that border on abstraction. Seemingly crude and industrial, Joannes portrays the tankers with poetic sentiment. The man-made ships break through the tranquil setting of the surrounding air and sea. Time is suspended as the ships effortlessly roam the horizon. The tankers are always seen from the side, a compositional choice that not only emphasizes their sheer power and size but also transforms them into a symbol, almost hieroglyphic in nature. The paintings display highly detailed, giant sea vessels. The air and water seem vast and are often blocked off with a single, bold color. His ships, on the other hand, are incredibly detailed with each drip of rust and weathering carefully articulated. These orange and brown drops not onlyreveal the ship’s past but also the painting’s history: they are visible evidence of the painter’s brushstrokes and artistic process. The busy, overlapping vertical streaks provide an interesting contrast to the otherwise clean, precise lines the artist uses. Joannes was born in 1975 in Besançon, France and studied at L’Ecole Superieure des Arts Decoratifs in Strasbourg, France.